Do dangerous tricks. 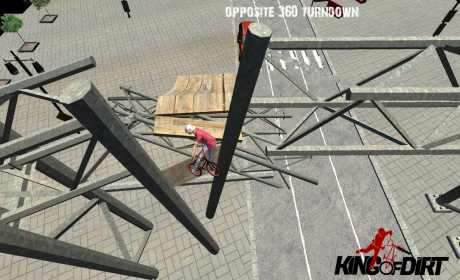 Demonstrate your extreme biking skills in this game for Android. It his may just be the best BMX game for Android! Does adrenaline course through your veins, and are bikes, tricks, and speed in your heart? Do you dream of enchanting the audience by performing Superman and Backflip? Download Kind of Dirt on your smartphone! – 5 well designed locations! – 1st and 3rd person-view modes! 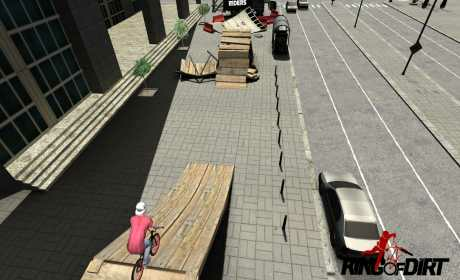 King of Dirt is more than a simple BMX game. Upgrade your character, customize your bike, and become the best. Perform missions, gain points, and learn new spectacular tricks. Love competing against your friends? Ride online! Take turns performing tricks, and find out who the best online rider is. Take part in global competitions, climb to the TOP, and receive game bonuses. Bad weather outside? Are you temporarily “out of commission”? No problem. If you install the King of Dirt game on your phone, you can always ride your favorite bike!